It was late January when I first approached Halifax Harbour Bridges trying to obtain a copy of the Crown corporation’s board minutes. It didn’t go so well. “We really don’t feel like it’s necessary to share the minutes,” says HHB communications manager Alison MacDonald. Halifax Harbour Bridges’ board members—some of whom are politicians themselves—are appointed by elected officials. The commission borrows millions of dollars from the province to build public infrastructure. Despite those facts, HHB doesn’t publish the minutes of its board meetings and those meetings aren’t open to the public. The commission emphasizes it’s not a government body and its revenue is generated entirely through tolls. MacDonald also notes the commission publishes annual reports and other public documents. “We feel like we are very transparent as an organization,” she says. 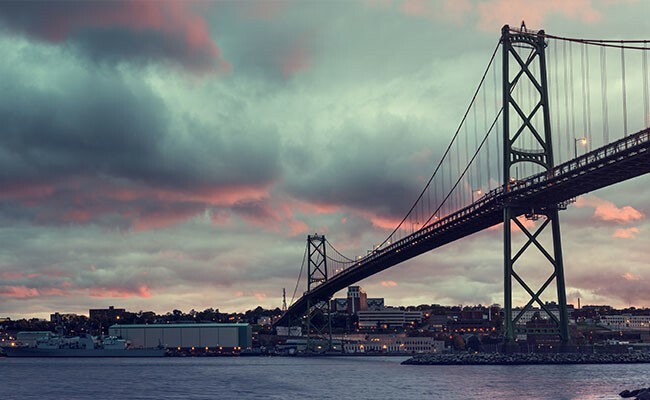 The provincial Crown corporation—which operates under HHB, but legally is named the Halifax-Dartmouth Bridge Commission—makes all maintenance, operational and administrative decisions related to the city’s two harbour-spanning bridges. The city appoints two civilians and two politicians to the HHB board, and the province appoints the rest. While it’s owned by the province as a Crown corporation, the commission operates at arms-length. “We are completely funded by revenue generated by the tolls and receive no funding from the government at any level,” states MacDonald. 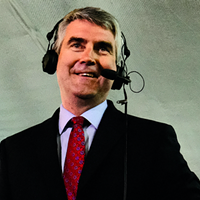 Halifax Harbour Bridges does, however, receive millions of dollars in loans from the province. Nova Scotia loaned HHB $160 million in 2015 for the Big Lift re-decking. All of that debt is to be paid off through toll fees. It’s not the first time the bridge commission has shown reluctance to honour a FOIPOP request. Former Daily News journalist Peter G. McLaughlin filed a Freedom of Information request for the commission’s minutes back in 1993. It was rejected. The Halifax-Dartmouth Bridge Commission had borrowed money from foreign banks and took a bath because of falling currency. That’s when the newsroom started to wonder who recommended the loan and why the commission decided to go to foreign financial markets. “We just simply wanted to get some answers,” McLaughlin says. His request was rejected on the basis that the bridge commission was, at the time, an independent body that didn’t fall under the Freedom of Information Act. The Daily News appealed the decision and finally succeeded in receiving the board’s minutes. Now, 25 years later, the current amended FOIPOP act does list the Halifax-Dartmouth Bridge Commission specifically as one of the departments subject to Freedom of Information. Toby Mendel, president of the Centre for Law and Democracy, says that makes the commission’s oft-used FOIPOP excuse of not being a government department moot. “For purposes of the [Freedom of Information] Act, it doesn’t make any difference if they’re government or not government because they are subject to the obligations of the Act the same way as any other government body,” Mendel says. I finally received a response to my FOIPOP on March 27. The commission sent me “an excerpt,” totalling 14 lines, from HHB’s board minutes relating to financing and costs for the Big Lift. In a later phone call, Sullivan recommended fine-tuning requests in the future and blamed the limited information released on a “mutual misunderstanding.” If I wanted more information about HHB, she said, I should write another email.